The Mars Orbiter Mission took off at 09:08 GMT from the Satish Dhawan Space Centre on the country’s east coast. The head of India’s space agency told the BBC the mission would demonstrate the technological capability to reach Mars orbit and carry out experiments. 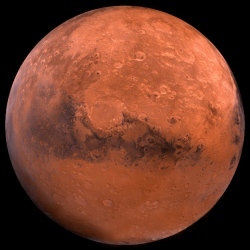 The spacecraft is set to travel for 300 days, reaching Mars orbit in 2014. If the satellite orbits the Red Planet, India’s space agency will become the fourth in the world after those of the US, Russia and Europe to undertake a successful Mars mission. In order for the MOM to embark on the right trajectory for its 300-day, 780-million km journey, it must carry out its final orbital burn by 30 November. Some observers are viewing the launch of the MOM, also known by the informal name of Mangalyaan (Mars-craft), as the latest salvo in a burgeoning space race between the Asian powers of India, China, Japan, South Korea and others. Prof Andrew Coates, from University College London’s Mullard Space Science Laboratory, told BBC News: "I think this mission really brings India to the table of international space exploration. Interplanetary exploration is certainly not trivial to do, and [India] has found some interesting scientific niches to make some measurements in."